The familiar story of rags to riches rings true for Yung Kee founder, Kam Shui Fai. More than half a century ago, Kam was a young and penniless man trying to make ends meet at a humble food stall seling siu mei at a dai pai dong on Kwong Yuen West Street. After some success, a couple of major moves and even the Second World War, Kam Shui Fai eventually moved his business to the heart of central Hong Kong, on Wellington Street in the Yung Kee Building in 1964. And even after over 70 years, the restaurant is still going strong, receiving one Michelin Star in 2009 and another in 2010 and 2011. Yung Kee is one of Hong Kong’s more famous restaurants, serving a number of award-winning Chinese dishes. But the most famous is its gourmet specialty-Roast Goose. 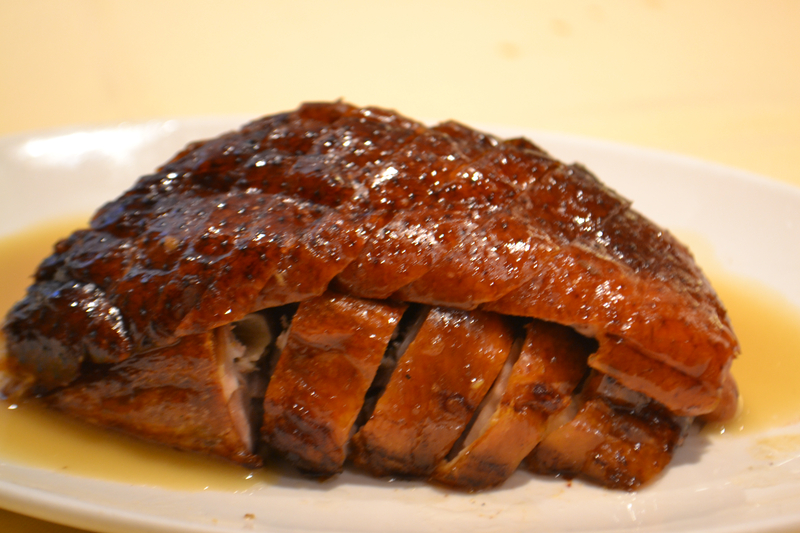 In fact, the demand for its roast goose is so high that as many 300 birds are sold daily. On a hot and sticky Hong Kong afternoon, I beat the “suits” and retreated indoors to o the air-conditioned comfort of Yung Kee. The restaurant has a certain sense of old-fashioned class about it without being pretentious. The half goose, perfect for two to share, is beautifully fragrant and flavoursome, achieving a perfectly golden brown glaze. The delicate skin is thin yet crispy, with a thin layer of fat underneath it. Melt in your mouth style meat was juicy and succulent, served over a bed of braised soy beans which effortlessly soaked up the flavour and the delicate plum sauce. 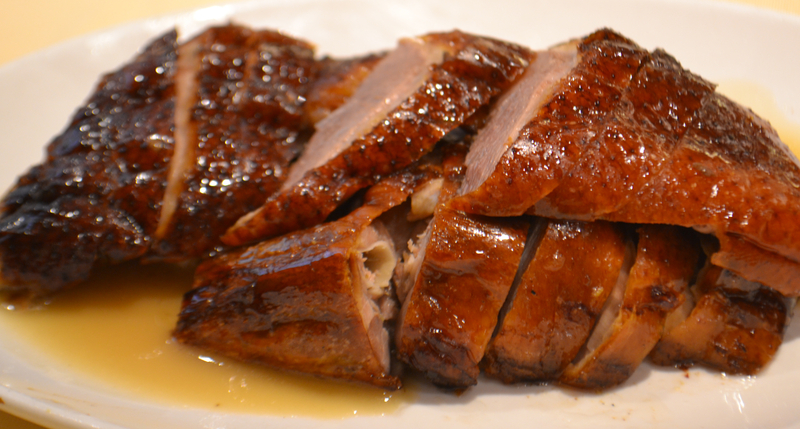 So is this the best roast goose in Hong Kong? Perhaps but I need to do a bit more research first.